Don’t miss one of the chamber’s biggest events of the year! 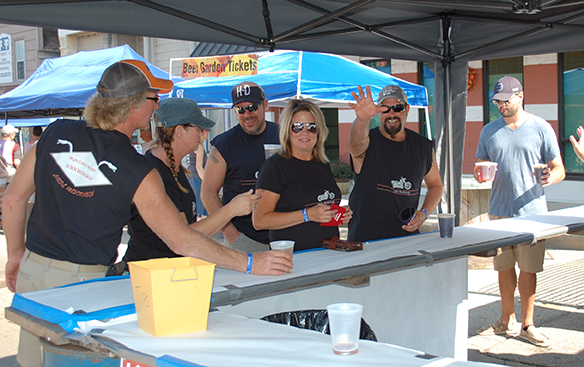 Join us for the 11th annual Lodi & Lake Wisconsin Brew-B-Que in downtown Lodi. This great event takes a Backyard BBQ and turns it into a Huge Block Party as we close Main Street for the day and offer so many exciting great things! We kick off this beautiful fall festival with the area’s best barbecue teams smoking their special ribs in an exciting competition open to anyone who wants the challenge to cook! We host a chili cook-off, a homemade salsa competition, and a homebrew competition. If you would like to participate download our entry forms and rules below. Come down for the day, sample some chili and salsa, grab a brew and taste some great barbecue. Enter our corn hole tournament all while enjoying live music from Retro Specz! So much more! Come on down and enjoy a wonderful day! VIP passes will be available starting August 11th at Susie the Duck Day than for sale at the Chamber Office 114 S. Main Street! This includes tasting and judging the rib competition, salsa, chili, and homebrew. You get a coupon card from our Sponsors and a free drink. Tickets are limited.